For Six Foot Six, there's about as much information as found on a pack of cigarettes. And every reviewer will be probably repeating the same information. Sorry about that, but here goes. 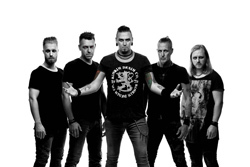 Six Foot Six was formed by vocalist Kristoffer Gobel (Falconer, Destiny, Aldaria) as an outlet for his musical influences. 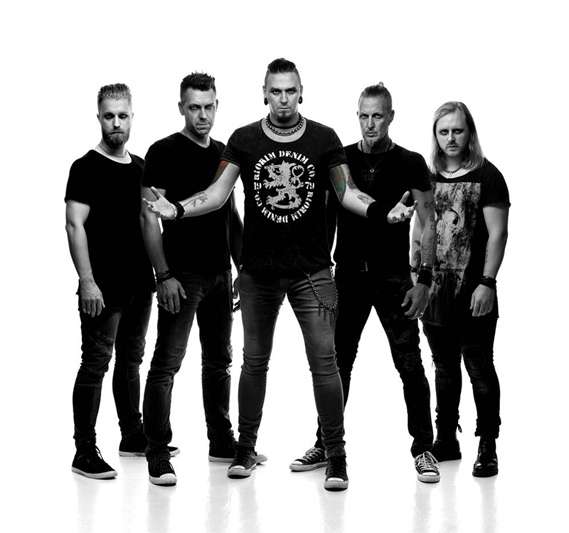 While the current band personnel is sketchy, Gobel did enlist some guest musicians for his debut album, The Six Foot Six Project, including guitarist and singer Niklas Stalvind (Wolf), singer Magnus Winterwild (Axenstar) and singer David Akesson (Quantice). Essentially, Gobel and Six Foot Six deliver melodic heavy metal rock. After a spin or two, you'll discover that the songwriting emphasizes three influential elements: guitar harmony, vocal harmony, and a solid rhythm section. To expand upon those things, the metal edge mostly comes from the sharp riffs, stinging solos, and heavy and steady bottom end. Yet that same rhythm section drops an infectious rock beat and groove. Ergo, bang your head while you tap your toe to the music. For the tunes you have some sharp heavy metal rock with Virus Inside, Bleed For Mankind, and In Defiance. But that last song, along with Falling Sparrow and Anomia have more than a little AOR sweetness and accessibility. 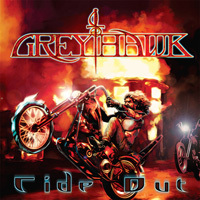 With Pride And Glory and Test Of Time you'll find some catchy tunes that revolve around riffs over big drums and, for the former, power from some hard charging rock. While the vocal harmony is self-evident throughout, you'll hear a fine rock choral arrangement in the outro of Falling Sparrow. In the end, if you appreciate and enjoy melodic heavy metal rock, large on vocal and guitar harmony, you will enjoy Six Foot Six's debut album The Six Foot Six Project. Recommended. 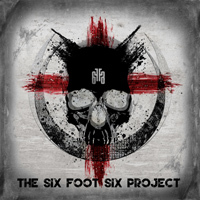 If you appreciate and enjoy melodic heavy metal rock, large on vocal and guitar harmony, you will enjoy Six Foot Six's debut album The Six Foot Six Project. Recommended.